As a young guardsman, Grigory Potemkin caught the eye of Catherine the Great with a theatrical act of gallantry during the coup that placed her on the throne. Over the next thirty years he would become her lover, co-ruler, and husband in a secret marriage that left room for both to satisfy their sexual appetites. Potemkin proved to be one of the most brilliant statesmen of the eighteenth century, helping Catherine expand the Russian empire and deftly manipulating allies and adversaries from Constantinople to London. This acclaimed biography vividly re-creates Potemkin's outsized character and accomplishments and restores him to his rightful place as a colossus of the eighteenth century. 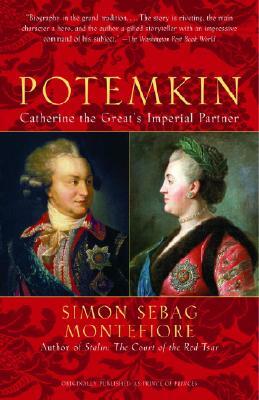 It chronicles the tempestuous relationship between Potemkin and Catherine, a remarkable love affair between two strong personalities that helped shape the course of history. As he brings these characters to life, Montefiore also tells the story of the creation of the Russian empire. This is biography as it is meant to be: both intimate and panoramic, and bursting with life.